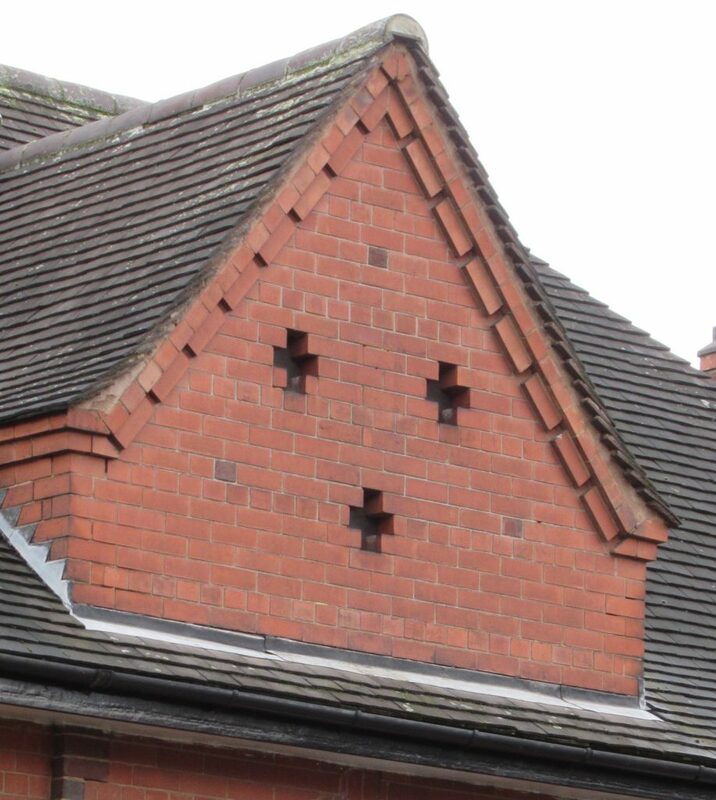 In my last few blogs I’ve been looking at the life and work of Lawrence George Summers who was Watson Fothergill’s assistant and an architect in his own right, albeit a somewhat less flamboyant one. The last installment left off in New Basford, from where I walked back to Sherwood Rise. 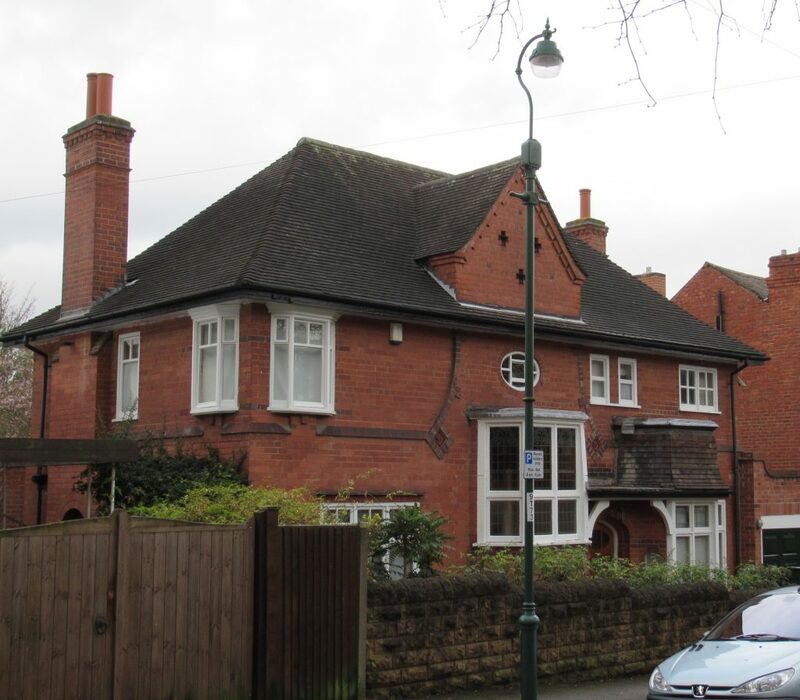 I passed Fothergill’s Norris Homes and further down Berridge Road at the corner with Cedar Road I found a large three storey block which originally comprised Five Dwellng Houses and a Shop (LGS16). Summers didn’t sign the drawings but there is evidence that he worked on them in 1902. The client was Mr George Hayes. 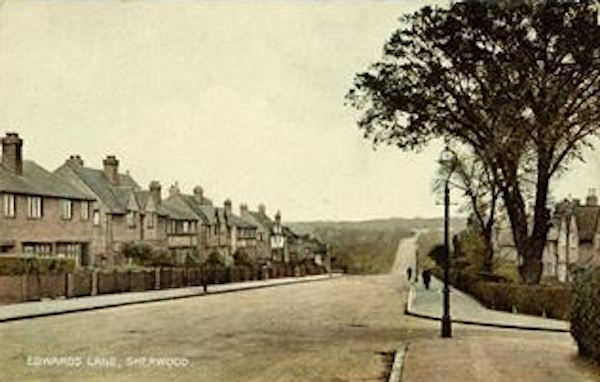 The corner of Berridge Road and Cedar Road, with traces of the 1902 building. Photo: Lucy Brouwer. The shop front still visible on the corner of Cedar Road, but building heavily altered. Photo: Lucy Brouwer. 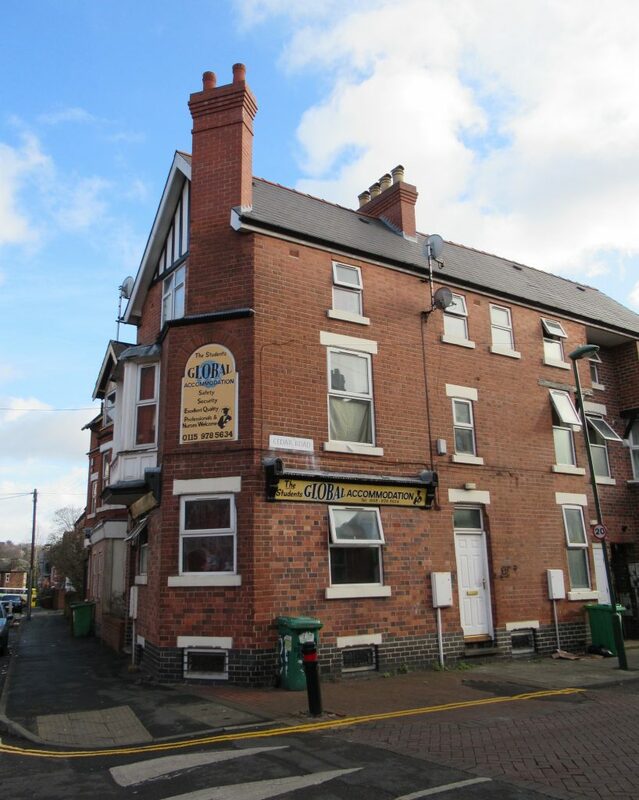 Over on the other side of Mansfield Road, into Mapperley Park can be found what is likely to be the latest building to be signed off by LG Summers. 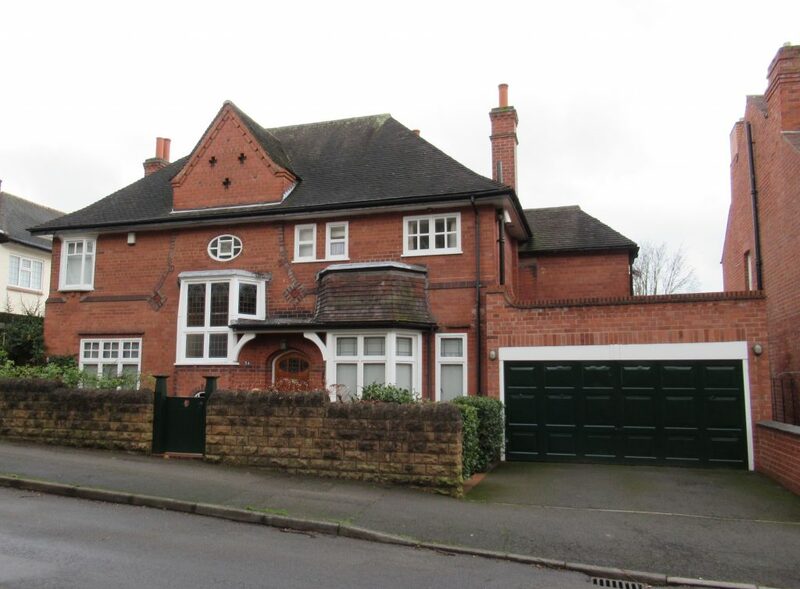 The house built for Mrs Eleanor Ellenberger (Watson Fothergill’s 4th daughter) on Thorncliffe Road (LGS29). The house on Thorncliffe Road that LG Summers built for Fothergill’s daughter Eleanor Ellenberger. Photo: Lucy Brouwer. The date stones are marked 1930. Given that plans were submitted in 1929 after Fothergill’s death in 1928, it can perhaps be assumed that the house was built with his inheritance. The date stones 19 & 30 at Thorncliffe Road. Photo: Lucy Brouwer. Of all the houses built by Summers that I’ve found so far, this last one seems to show the least of Fothergill’s influence, but by the 1920s fashions in architecture had moved on considerable from the Gothic and Vernacular styles that were interpretted in the work coming out of the George Street Office in the late 19th century. Gables and varied roof lines still feature in Summers’ late work. Photo: Lucy Brouwer. 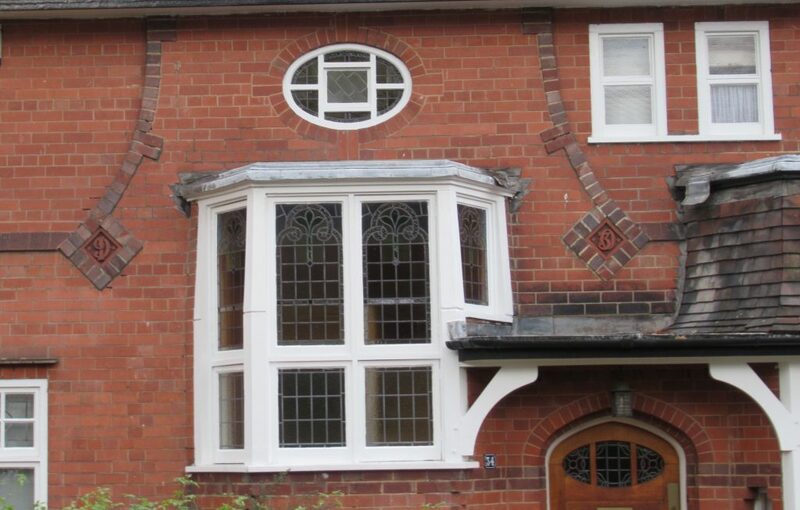 Unusual corner windows make a handsome feature on Mrs Ellenberger’s house. Photo: Lucy Brouwer. 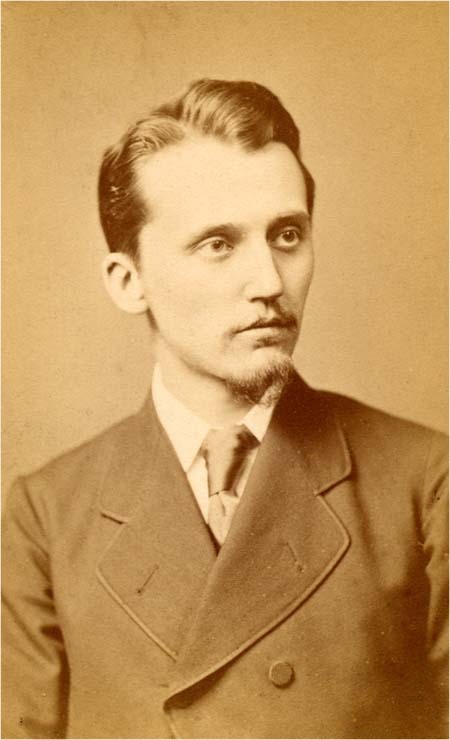 In 1894 Eleanor Fothergill Watson Fothergill (as her maiden name became when her father had his moment at the deed poll) married the German-born (but naturalised British) violin teacher Georg Hieronymus Ellenberger (1862-1918). 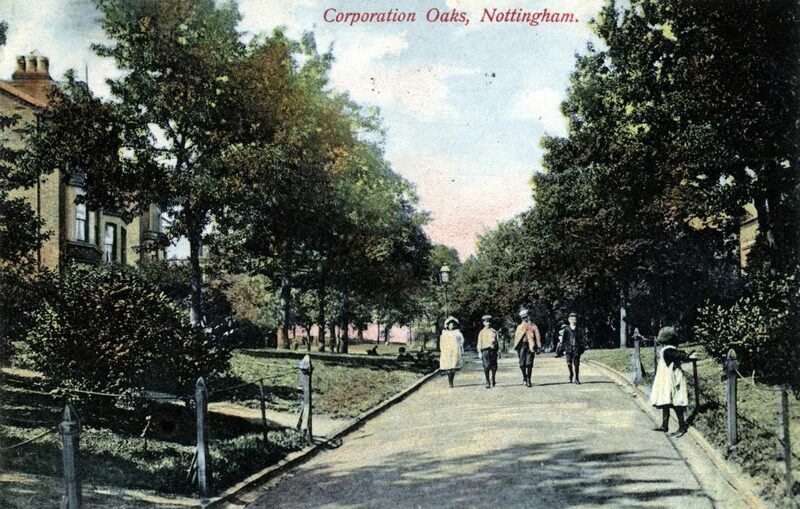 They lived in Nottingham at Lindum house (at the corner of Burns Street near All Saints Church from at least 1899) and towards then end of his life they lived in Ecceleshall, Sheffield. https://josephjoachim.com/ Wilson, Peck & Co were a musical instrument and record shop (and piano manufacturer) with branches in Sheffield and Nottingham. Georg(e) Ellenberger was a pupil of the violinist Joseph Joachim (a collaborator of Joannes Brahms) and was himself violin teacher to the young Hucknall-born Eric Coates around 1898. Coates would take the train from Hucknall to Nottingham for his lessons twice a week. Coates became a composer, and is probably best known for the Dam Busters March. I’ve announced some new dates for my city centre Watson Fothergill Walk in April and May – details and links to tickets here. More about Lawrence George Summers. Some detective work looking for the rather elusive “architect’s assistant”. I’ve been using some online archives to see if there is anything else out there about Lawrence G. Summers and after some digging I think I’ve come up with a few clues. 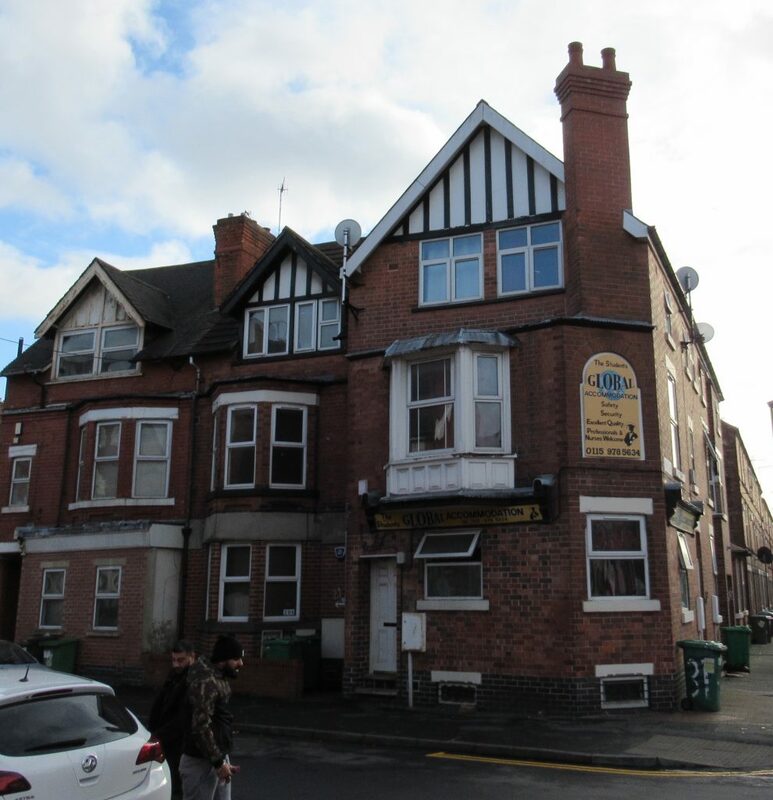 By 1871, the Summers family address has become 83 Duke Street, 16 year old Lawrence is already noted as an “architects clerk” and he has gained another younger brother. I’ve not had much luck with the 1881 census and finding L.G. in 1891 was a little harder as his name has been transcribed as “Laurence”, but he turns up living with his younger brother Frederick and his family, still on Duke Street. L.G. is 35 by now and is still noted as an architects clerk. His brother (and his father, who lives next door) are both listed as “Lace Warpers”. In a trade listing from 1899 Summers seems at last to have moved out and he is listed as “Architect’s Assistant” living at 8 Corporation Oaks (while brother Fred is now of “Summers and Son” and is still at Duke Street). To find out about a life, you often have to read about a person’s death, and so it is with Summers, the most that was ever written about him was after his funeral. When Summers died in September 1940, his death made the front pages of the local papers. The notices list the mourners (articles can be found on The British Newspaper Archive – also free to use inside Nottinghamshire Libraries) and from here I was able to narrow down the search. Summers’ wife is only ever refered to as “the widow” which seems to have been standard practice at the time. But luckily the familial relationships of the other people present were noted, so we can discover that Summers’ brother in law was a Mr Lewis Byng. More plugging away at Ancestry eventually stumps up the jackpot. Mrs Summers, nee Louise Martha Byng was married to Lawrence George Summers in 1927, when she was 56 and he was 73. This was a year after the death of her father, Joseph Tussaud Byng a banker with 12 children, and just a short time before the death of Watson Fothergill. Lawrence and Louise appear again in the 1939 register now living together at 59 Edwards Lane. Lawrence died the following year, in November 1940 and Louise lived on until 1955, until the age of 84. And here is a performance of a comic song! Summers’ Brother in Law Douglas Byng had a long and illustrious show biz career, both he and L.G. Summers were at J.T. Byng’s funeral so perhaps they met? 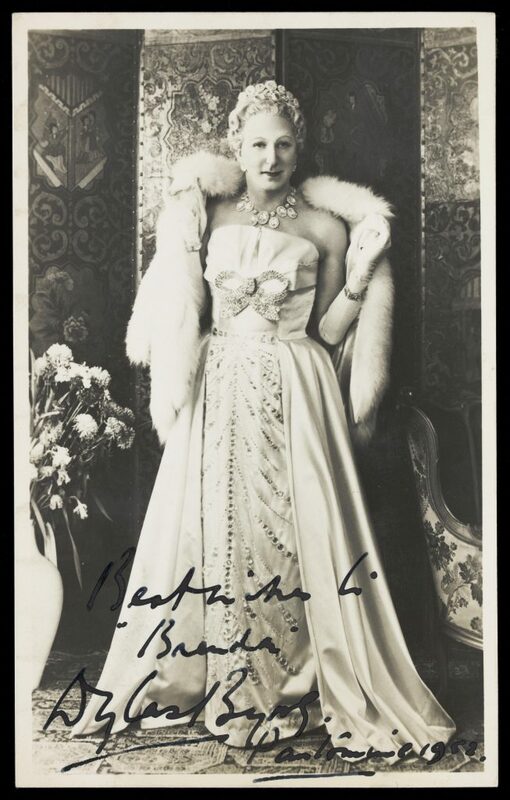 Byng was instrumental in developing “glamour drag” and played upper class female comic characters. Research can be a tricky business. The internet offers the researcher plenty of opportunities to find pictures, archived material and other useful records… but it can also throw up its own new set of new mysteries. For instance, the top returned result in a Google search for L.G. 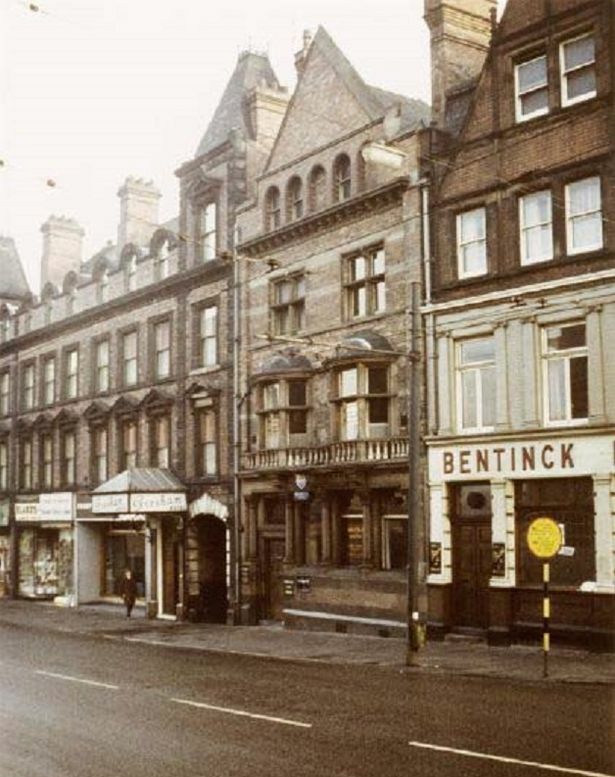 Summers, Watson Fothergill’s assistant and the man who carried on working at the George Street office after Fothergill retired, is a page at the Watson Fothergill website* that hasn’t been updated in a while. There’s lots of tantalising nuggets of information there, but to the researcher looking to dig deeper there is a frustrating lack of citations and references to sources. This is Lawrence George Summers from http://www.watsonfothergill.co.uk/summers.htm and I don’t know where they got it from or when it was taken! I’ve been looking for more information on Summers, looking for more about the man who seems to have been somewhat in the professional shadow of the more flamboyant Fothergill. As I become more emersed in searching for all things to do with Nottingham architecture, I find myself running names through different search engines and websites. After finding a coffee cup that seems to be from The Black Boy Hotel on eBay (see previous blogpost) I check back from time to time to see what else might be out there. A while ago, a search for Lawrence G. Summers and a few variations on his name, threw up a link to some pictures that I hadn’t seen before. They were prints that were for sale and eventually I tracked them down to an online print gallery. 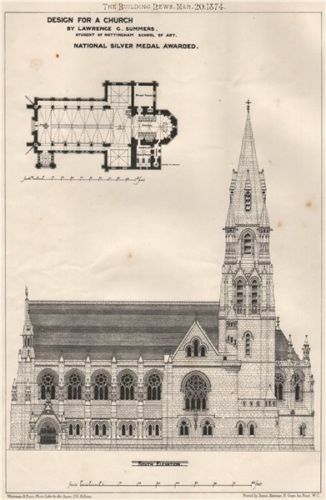 Design for a church by Lawrence G. Summers. Lithograph from The Building News Mar 20, 1874. Further variations on Summers’ name (L.G., Lawrence C. etc) returned more results and I couldn’t quite believe my luck. Compelled by curiosity and reasonable prices, I bought the prints. 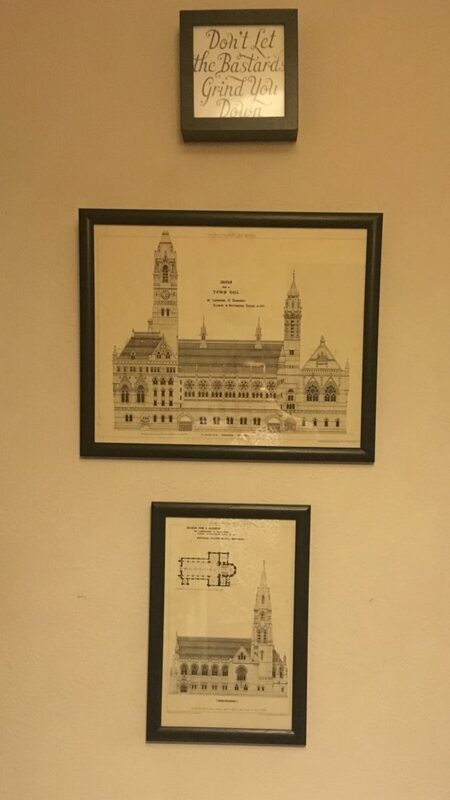 It turns out that they are lithograph pages from the trade publication The Building News and they are not copies. 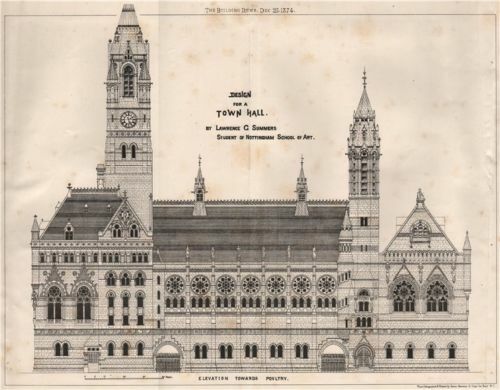 Design For A Town Hall by Lawrence G. Summers. Lithograph from The Building News, Dec 25, 1874. On receipt of the lithographs I realised they were actually pages from the magazine and I was able to look up the accompanying articles. Archives of some of the issues are online. It turns out the designs were Summers’ winning entries in competitions. 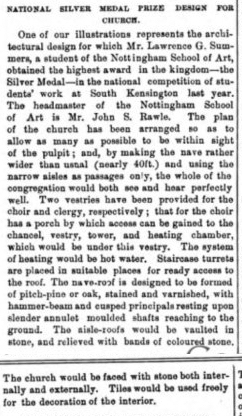 From The Building News, Mar 20, 1874. 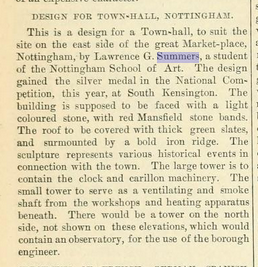 Tracing the lithographs to the relevent issues of The Building News in online archives reveals that Summers won the “National Silver Medal Prize” for his Church design, “The highest award in the kingdom”. 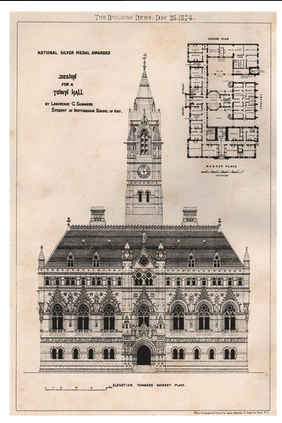 The town hall, also gained the Silver Medal in a prize from Kensington (from where architecture qualifications were dispensed). This appears to have been while Summers was a student at the Nottingham School of Art. The front elevation of Lawrence G. Summers design for a town hall. The Building News, Dec 25, 1874. Somewhat wonky photos of the Nottingham-themed wall in my “office”. *If this is your site, please get in touch!